Temperature Transmitter – Nippon Instruments (India) Pvt. Ltd. The PTX-100 is excellent and cost-effective 2-Wire Temperature TRANSMITTER. The design is available in HEAD mounting and DINRAIL housing. The device generates 4-20mA current signal proportional to temperature. The TRANSMITTER operates on loop power supply. 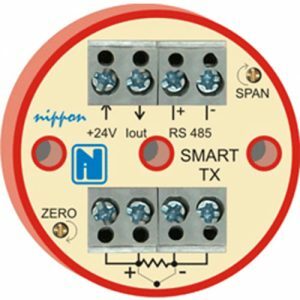 The current signal reduces wiring cost drastically. The effect of electrical noise is minimized & long runs of thermocouple wires is eliminated. The housing is shockproof & hermetically sealed. 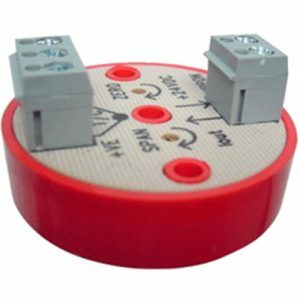 The PTXM Series is Multiple Loop Powered Temperature Transmitter. 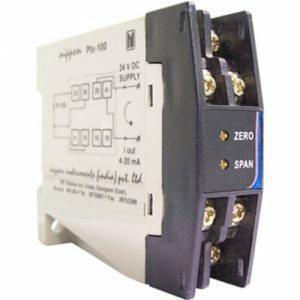 The device supports different input sors RTD PT100 & PT1000 and thermocouples (J type & K type). The selection of input sensor device can be configured through RS845 link from the PC side application. The PC side application would help the user to configure the device for particular range of input as well as range of current. The application reads the temperature from the device as well. 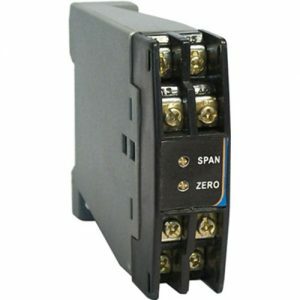 The device transmits the read temperature and current output value to the application.